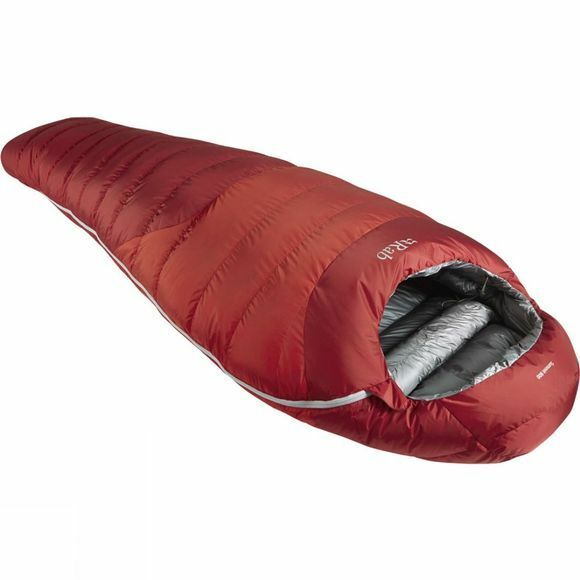 The Summit 800 is a mid-weight down-filled sleeping bag, designed for year-round mountain use. Using a combination of Pertex Endurance outer and light-weight nylon inner fabrics, the Summit 800 is filled with 650FP European Duck Down and features a trapezoidal chamber design to eliminate cold spots. Other key features include anti-snag zipper webbing tape, 3 dimensional insulated collar and an internal stash pocket for storage. It has been temperature tested to the new European standard (EN13537:2012), and is hand-filled in Derbyshire, UK.